We just reported on the Galaxy S7 Secure Folder app that’s floating online. You can download it right now on your Galaxy S7 or Galaxy S7 edge and provided that it’s running Android 7.0 Nougat, Secure Folder will work even though Samsung is yet to release it officially. The company did say last month that it would release Secure Folder for the Galaxy S7 as a downloadable feature once Nougat was rolled out. 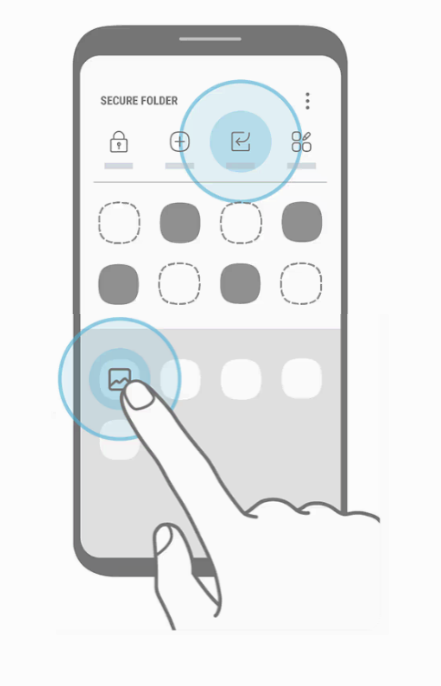 It appears that the app is teasing the Galaxy S8 in a way. When you launch the app after installing it on the Galaxy S7 for the first time you’ll see that it includes a render which appears to be quite similar to what we expect the Galaxy S8 to look like. Almost all of the renders and leaked images of the Galaxy S8 that we’ve seen so far suggest that it’s going to look similar to what we see in this render. While this isn’t a groundbreaking discovery in any shape or form, it goes to show that we can reasonably expect Samsung’s next flagship smartphone to come with significant design changes as compared to the Galaxy S7. It was already pre-installed after receiving the final nougat update on tmo. Works fine. No lag at all. Yep. Definitely lags. Think I’m gonna uninstall. It lags on S7 edge.. Anyone experienced the same?